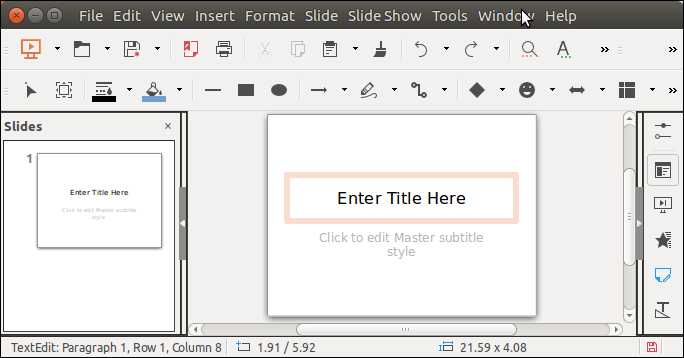 We can set slide layout, it's title and content as well. In the following example, we are creating title slide. Following slide has title which was set by the Java program. 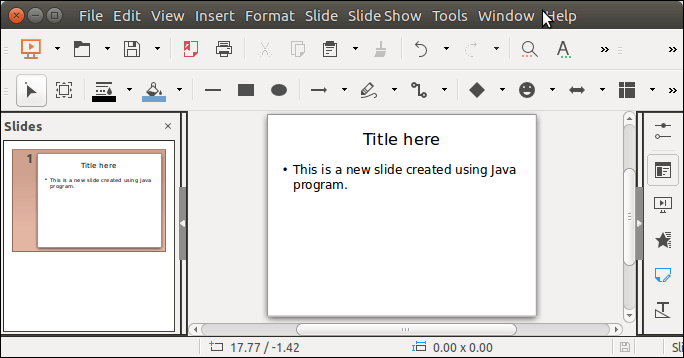 Apart from title, now the following example sets content to the created slide.